A Carl Lewis personal appearance, Carl Lewis speaking engagement, or Carl Lewis endorsement will reflect well on your company. To hire Carl Lewis now for any corporate appearance, fundraiser, motivational speaker event, personal appearance, autograph signing, or website endorsement please contact our celebrity agents at 1-877-6-SPORTS. We will contact Carl Lewis or contact Carl Lewis' agent and provide you with the booking fees and availability immediately upon your request. Direct Sportslink is the only sports speakers bureau and talent booking agency based in the United States securing only sports talent for corporations, associations, and organizations for motivational speaking engagements, personal appearances, and endorsements. We are the premier sports celebrity booking agency and a sports celebrity procurement expert. Accordingly, we will provide you with any relevant Carl Lewis website information and booking agent details so that you can hire Carl Lewis for your next event. 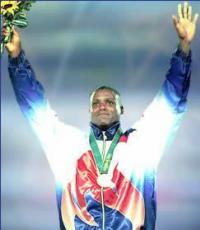 Carl Lewis who won 10 Olympic medals (9 golds) during his career (1984 to 1996), and 8 World Championship gold medals, and 1 bronze (1983 to 1993). In 1980, Carl was selected for the US Olympic team, but the American boycott of the Games in Moscow delayed Lewis' debut. 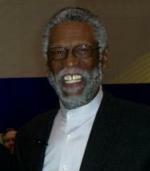 He received the 1981 James E. Sullivan Award as the top amateur athlete in the United States. The following years, Lewis set season's-best performances in the 100 m and long jump. At the inaugural World Championships in 1983, Lewis won his first major titles, achieving victory in the 100 m, long jump and the 4 x 100 m relay events. This made him a great favorite for success at the 1984 Los Angeles Olympics. Also entering the 200 m, Lewis sought to equal Jesse Owens' performance of 1936 by winning these four events, which he did. He won two more gold medals at the 1988 Olympics in Seoul, South Korea. In the 1992 Summer Olympics in Barcelona, Lewis won his third consecutive Olympic long jump title. Lewis also ran the last leg of the American 4 x 100 m team. In 1996 - aged 35 - he made a strong comeback in the long jump event, and made a bid for a fourth consecutive Olympic title. Lewis succeeded with remarkable ease, becoming at the time, only the third Olympian to win four consecutive titles in an individual event. Based on your interest in Carl Lewis as a speaker or for a personal appearance, Direct Sportslink has provided you additional links below for other sports talent with similar appearance fees, speaker topics, and categories that match Carl Lewis.